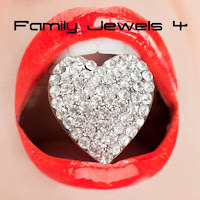 System Recordings News: Family Jewels 4 - Available Now! Family Jewels 4 - Available Now! May 17, 2011 - System gets bling with 'FAMILY JEWELS 4', featuring 10 tracks from some of your favorite artists, including SECOND SUN, DA'OTHERS, DAKATRONIC and more!